Momentum keeps growing around ARKit, analysts keep predicting how big it is going to be very soon, businesses around it are more and more created. Exciting news and also new concepts such as the USB File Explorer and Cards for teaching Chemistry. Metaverse built an augmented reality teleportal using Apple’s ARKit that allows customers to walk through into another world revealing the magic of a Majestic cruise location. Once through the portal, you can look around and even look back through the portal to the real world. Very well made, there is a video you can check out in the link, they are know selling this AR Portal to other companies as well. « Wamsi Mohan from Bank of America Merrill Lynch predicts Apple could make an additional $1 billion before 2020 from sales of AR software. Daniel Beauchamp (@pushmatrix), Head of Virtual and Augmented Reality @ Shopify, just published how his team at Spotify integrated AR Quick Look with products. You can even already try it, with Magnolia Market where, if you have iOS 12 installed on your device, already has the feature integrated. You can try it here => Magniolia. Tried it, great simple and smooth experience! He also wrote a Medium publication right about it => Medium Post. Thanks a lot to Robleh @robjama, also working at Shopify, for letting me knows about it. Jacobo Koenig (@jacobokoenig) made an AR Concept with ARKit of how we could interact with a USB key to see what’s inside. Nate Swanner (@NateSwanner) created a very well designed and working concept of chemistry education using cards with ARKit. Manu (@codePrincess) just published on GitHub the ressources that she used for ARKit courses and workshops. 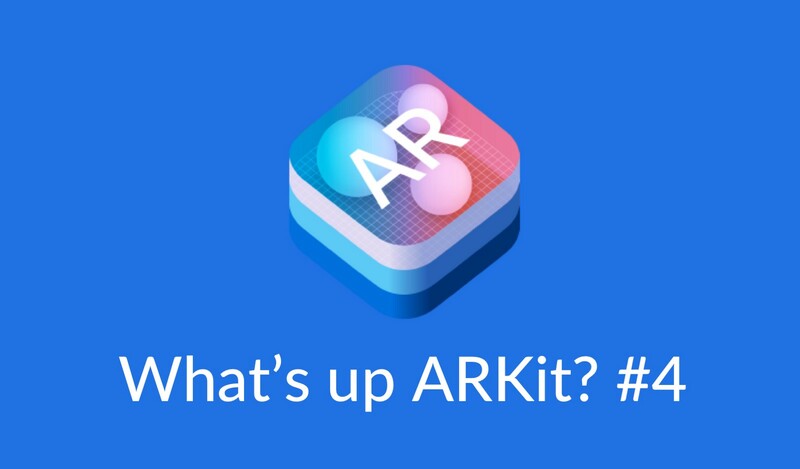 It includes all the basics and more advanced knowledge you need to build your ARKit app, definitely worth checking it out if you want to build your first ARKit app. Some Googlers created this simple app that allows to draw in AR like we’ve seen before but with the big difference that you can actually share the experience with other iOS and Android Devices. It uses the freshly new ARCore Cloud Anchors. We all know the Hambergu menu, well Fabio Giolito (@fabiogiolito) created one of a new kind!